We can't blame everything on 'Austerity' since the 2008 banker induced crisis. The number of hospital beds available has been dropping for decades, through Thatcher, Major, Blair, Brown and Cameron. Only 17% of emergency departments were able to provide 16 hours of Consultant cover in a working day, and even worse than that during weekends. "Emergency staffing at all levels is under strain and a 50% fill rate of trainees is now resulting in a shortfall of senior trainees and future consultants"
Of course, this doesn't affect you if you can afford to go private. - Fewer acute beds are needed because of more keyhole surgery. - Fewer maternity beds are needed because women don't stay in as long after giving birth. - Fewer geriatric beds because we are getting better at getting elderly non acute patients out of hospitals into more civilised places for care. - And the closure of the gigantic mental health hospitals was started by Enoch Powell's 'water towers' speech in 1960, accelerated by new drugs that led to more people being able to manage in the community but not completed until the end of the 90s. Mental health charity Rethink reckons "Mental health bed shortage is a ‘scandal’ "
Guardian reports "A&E overcrowding could lead to more deaths and serious illnesses, MPs told. Hospitals face rising threat of mortality as shortage of beds poses substantial risk to vulnerable patients, warns expert"
Telegraph reports "Experts have warned that elderly patients are being discharged too early, putting their health at risk and increasing the likelihood of them being readmitted to hospital. " Have to agree with anonymous. Even the rate of reduction for each category is consistant with well known advances in medicine, and improvements in mental health care. The only one I wasn't sure about was geriatrics, because of the rising elderly population, but even then moving paitients out to longer term care solutions or to their own home has been an ever higher priority. It's not cuts and the fall in beds in 2005 to 2010 was when NHS fundng was at it's highest level ever, by any measure. Bed shortages cause delays in a and e, elderly patients are still stuck in wards because there are no community beds or suitable care homes, volunteers have become an essential part of hospital care, maternity wards do get closed to new mums due to demand, half of all acutes are in financial difficulty, reductions in beds may not have been an indicator before but they sure are now! I fight for a bed just for day/overnight stay every 3 months for cancer treatment. Only time I was treated speedily in last 2 years was back kn 2012. NHS has got progressively worse since 2011. I now have to wait to get on a list to wait for 3/4 months. First poster must live in a utopian area of Britain so far undiscovered. If you are an emergency admission you probably get treated relatively quickly - heart attacks etc. 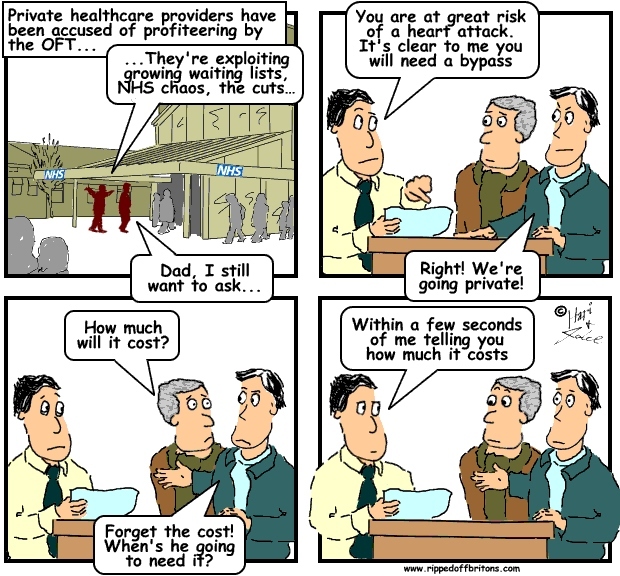 and A&E But as those things improved with extra funding other areas had to take the brunt of cuts. As the NHS is now effectively private there is no collaboration between other trusts and actually Trusts dare not record some problems or they may lose their licence. Therefore we are already in a private system which this government does not want to manage, be responsible for or fund in full. Charges and insurance must be only a few years away. It will mean a 2 tier health system and it will not be equitable. We are half way there already. Farewell to the only really good thing this country had. Rome wasn't built in a day and neither was the NHS but how quickly and easily something is destroyed by greed compared to the time and effort for construction. It's a great tragedy. Maybe this table can help clear the picture. comparing to similar countries as france & germany, it is clear that the UK had less beds then those two, and the drop in # of beds since 2000 is greater.